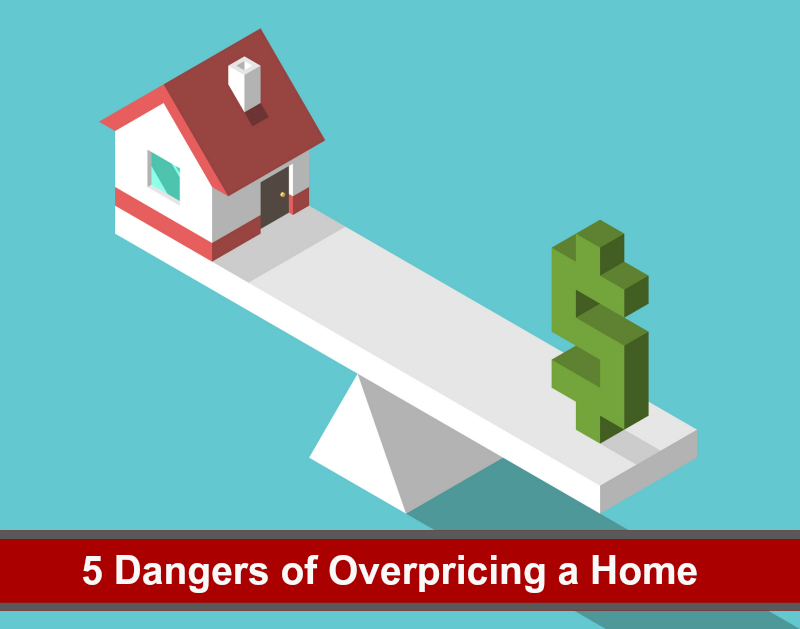 Setting a realistic price for your home from the start is critical. If you’re thinking of selling, I can provide you with a comprehensive pricing analysis based on current market conditions. This article originally appeared on the Windermere Eastside blog. 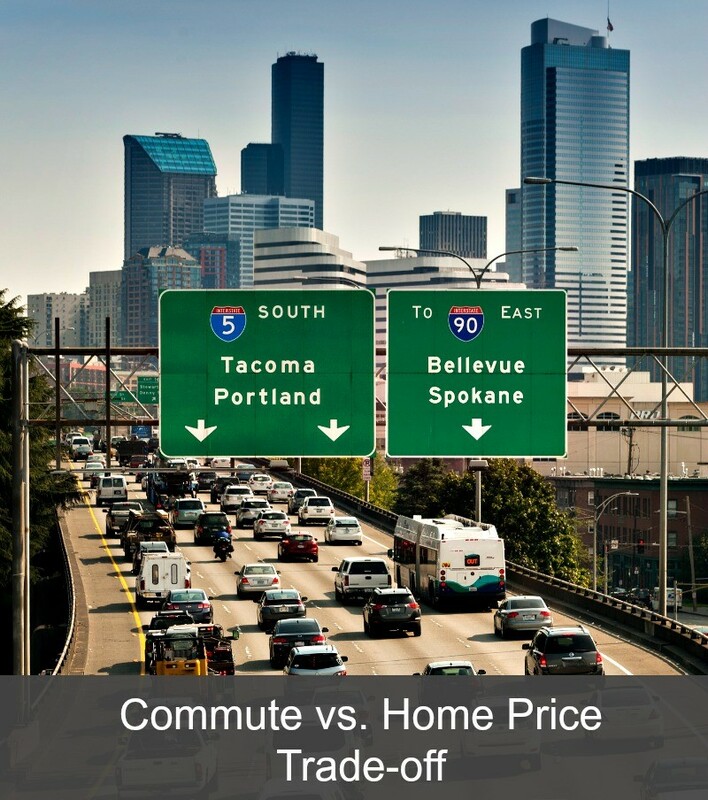 Would you be willing to swap a longer commute time for a lower monthly mortgage payment? 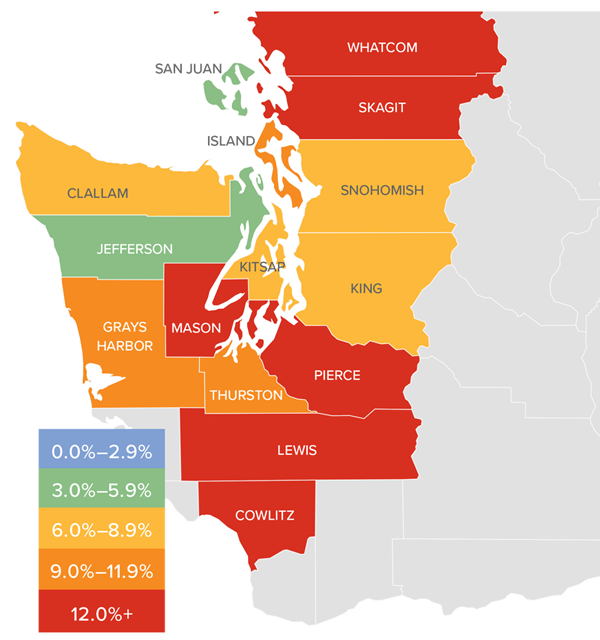 We examined active listing on the Northwest Multiple Listing Service and their drive-time proximity to downtown Seattle. If you look at homes within a 30-minute radius from downtown, the median home price was $1,612,500. Homes located within a 31 to 60-minute commute from downtown had a median price of $890,000–that’s 45 percent less. If you were willing to commute over an hour, the price of the average home in the area would be $1 million less than if you lived close to the city. The farther you drive, the more affordable the home. 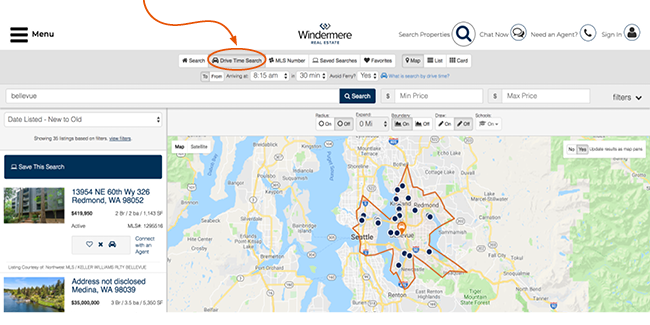 The Drive Time Search function on windermere.com allows you to customize the search criteria with your work address, time of day that you commute, and maximum amount of time you want to spend driving to and from work. The results will exclusively show homes for sale within your preferred drive time. 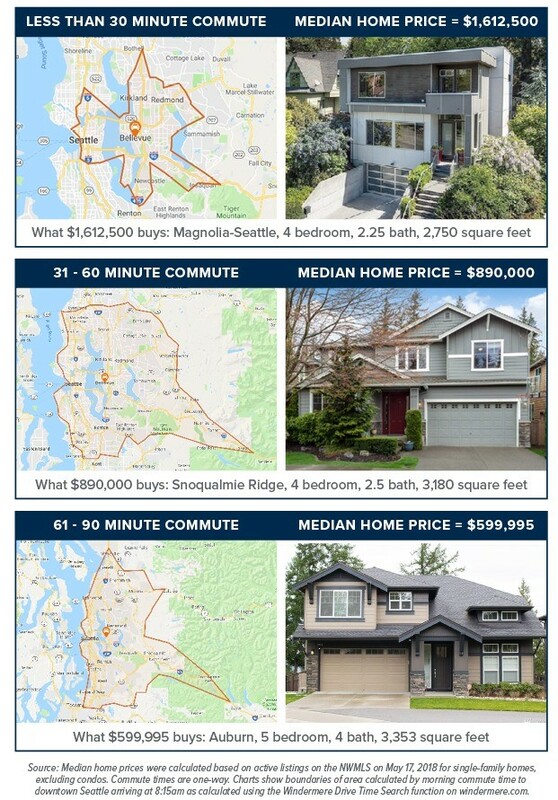 I can help you choose the right area, narrow down your criteria, and create a strategy for getting you the home that that you want at a price you can afford. Give me a call and we can get started.